EvilEve designs unique leather products in her private workshop in the heart of Ljubljana, Slovenia. All her work is designed and made from scratch. 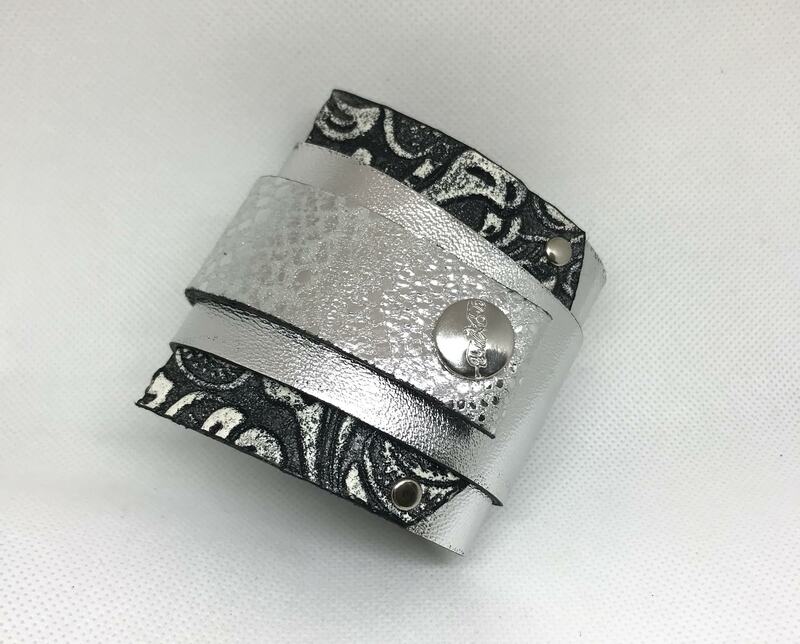 Unique design, beautiful colors, great and unusual patterns in leather… this is what makes EvilEve accessories so special – besides the fact that they are really comfortable to wear and are in most cases reversible, double-faced or 2in1 items. Lovingly crafted from leather, metal studs, spikes, beads, stainless steel chains, lace, wire and other interesting materials, these radiant bracelets, necklaces, earrings, rings, belts, corset belts, guitar straps, dog collars & leashes, purses, clutches, messenger bags (and more) evoke a sense of rock attitude whilst retaining a contemporary feel. 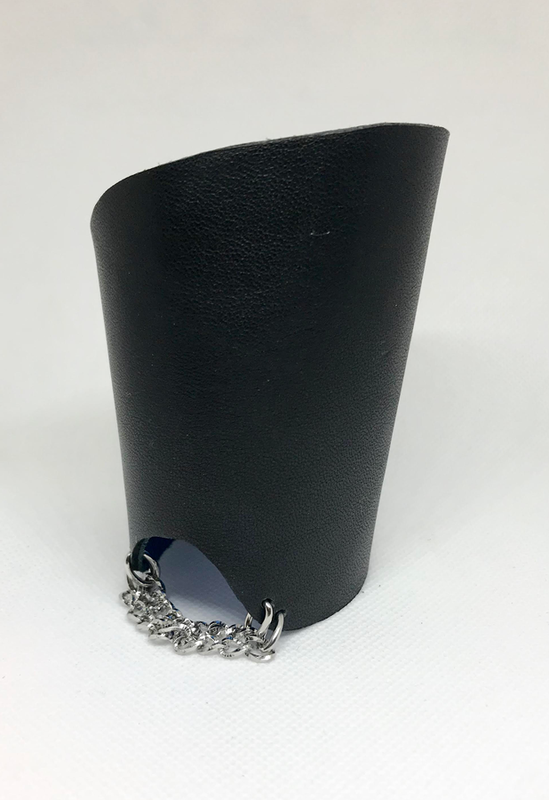 EvilEve accessories are edgy, but at the same time they go great with any style. EvilEve continues to connect Slovenia’s rich handicraft heritage with sharp contemporary design. 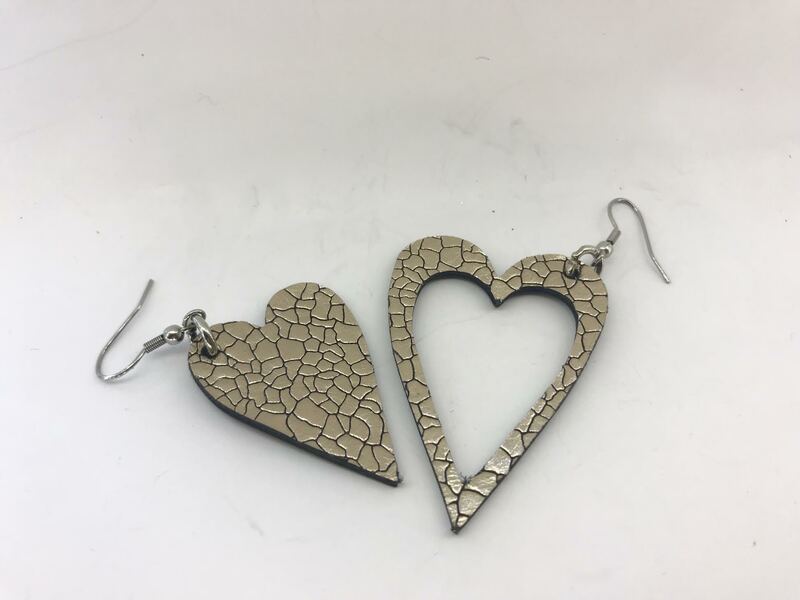 These one of a kind unique heart shaped leather earrings instantly make your outfit pop out. 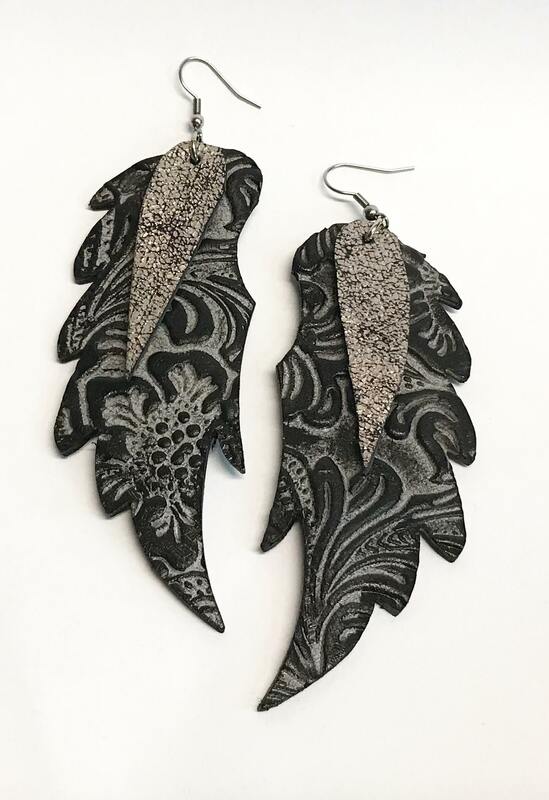 It great to combine these earrings with your daily outfit. It also looks special when you wear just one earring! 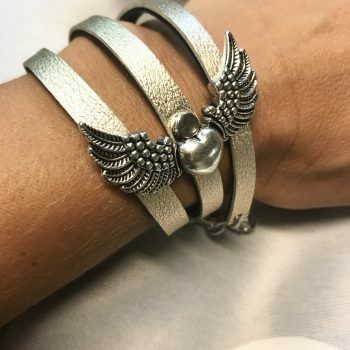 This bracelet will instantly enhance your styling. 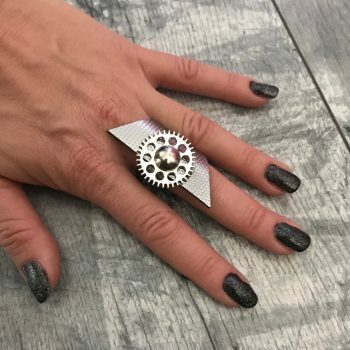 A statement piece that combines edgy attitude and fashion. 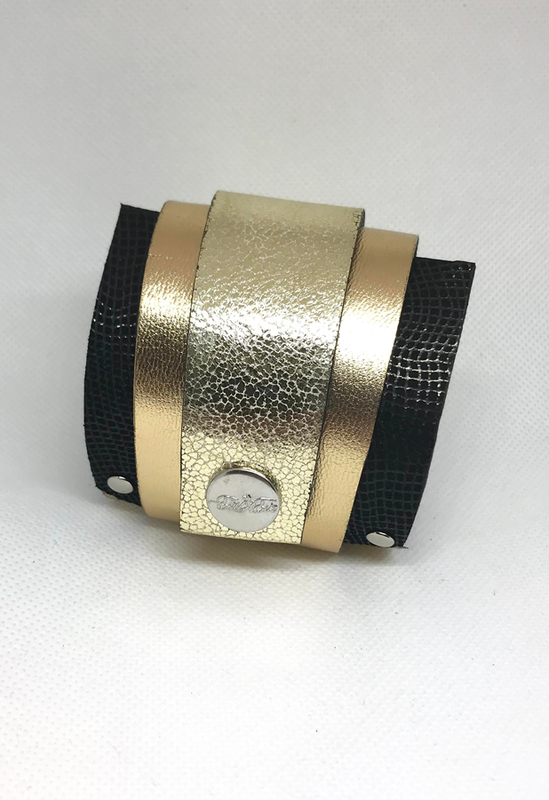 How it is going to turn out in the end (rocker, elegant, edgy…), depends on what you wear with it: this bracelet goes great with high heels, flip flops and everything in between. I agree with terms and conditions. Your data is used only for replying to this message.